The French government has made some modifications to the regulations on the posting of drivers in France. You now have to mention your Intracommunity VAT number, or if it is impossible, indicate your registration number to a professional register. You have to indicate the State where your posted driver is attached for social security (instead of mentioning the social security institution to which you are paying contributions). 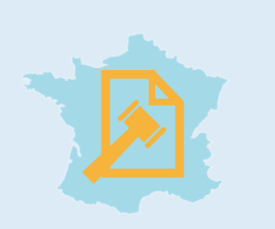 Documents kept by your representative must be in French, and amounts must be in euros. If you post temporary workers in France through a temporary work agency, you must provide the French work inspection with a declaration. This declaration ensures that the temporary work company is aware of the posting of its drivers and recognizes the work conditions that must be respected owing to their posting. For more information please consult the French government website.